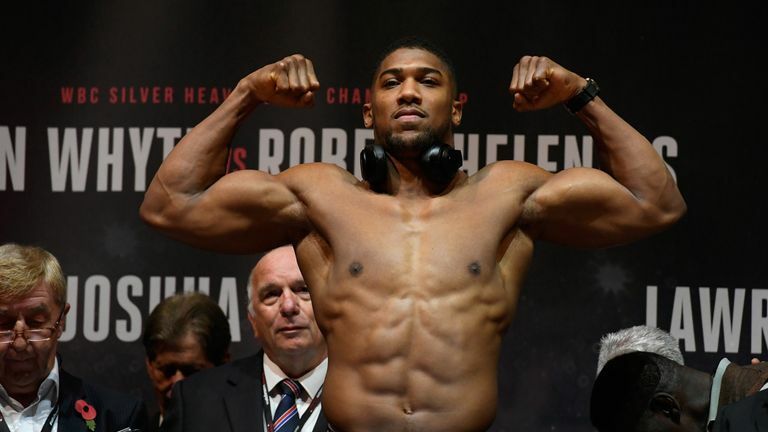 Anthony Joshua believes a future world title fight against Deontay Wilder is inevitable after tipping the American to beat Tyson Fury. Joshua defends his IBF, WBA and WBO heavyweight titles against Alexander Povetkin on September 22, live on Sky Sports Box Office, while Wilder is due to face Fury for the WBC strap later this year. Joshua believes Wilder has opted to face an easier opponent in Fury, rather than accepting his offer of a unification fight. "We have to fight, there's no two ways about it," Joshua told Sky News. "Remember we've been negotiating since I fought [Carlos] Takam last year. "It will boost his profile so when he comes back to the negotiating table he will have a better leg to stand on." Fury beat Francesco Pianeta on points last month to set up his US showdown with Wilder, but Joshua is less than impressed with his British rival, who has fought just twice since returning to the ring. "Tyson Fury's strategy is to put some money in the bank after a three-year lay-off," said Joshua.